A friend of mine told me how their child came home crying because another child had yet again said some cruel, nasty words to them. Their child said “Mommy – I would rather they hit me – I could deal with that better – words really hurt”. 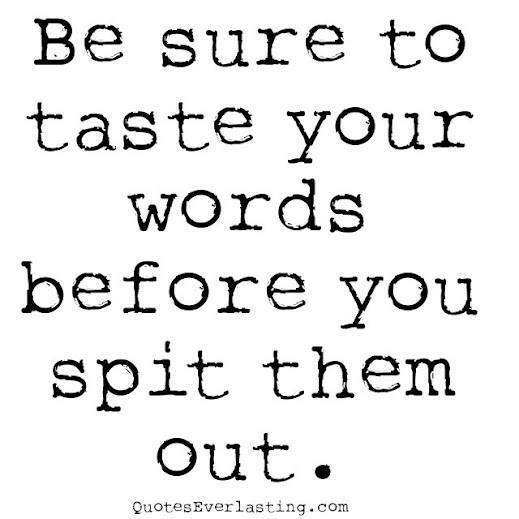 Words do hurt. There have been many news stories about children who have been victims of bullies at school. There have also been campaigns to educate people about the damaging effects of verbal bullying on children, particularly name-calling, put-downs, threats and insults, however the consequences of these actions continue to be sorely minimized. Angry outbursts of shouting, cursing, name calling, put-downs, threats, insults, a belittling tone, untrue accusations as well as the silent treatment, are in actual fact all different kinds of verbal abuse. Verbal abuse is a continued attempt by a bully through the use of unkind words to gain and maintain control over a victim by destroying their self-esteem. It is especially effective when there is no effort or desire by the bully to resolve the issues, but to prolong and manipulate the negative feelings of the victim, which usually gives the bully some sense of power. Many people fail to recognize verbal abuse, suggesting that victims are just being over-sensitive and they need to toughen up. They underestimate the power of words to damage and undermine one’s sense of well-being. People also seem to think that bullying ends when you leave school. However, bullying continues to pervade the adult lives of many, and is usually known as domestic abuse. In fact, I have read that for many battered women the emotional and verbal abuse that they endured was worse than the physical abuse. Though their physical scars healed, the emotional scars continued to haunt them. Words are important. Words have the ability to give life or death and can destroy children, adults, marriages and families. Verbal abuse over a long period of time cripples lives, and people often feel ashamed, confused and frustrated. A sustained violent torrent of words causes devastating pain and though one’s physical body may live, the spirit begins to die. Mental symptoms such as depression does manifest and the physical body is also affected with a variety of psycho-somatic illnesses due to the high conflict and stress. In some cases these illnesses become terminal, because the continual emotional turmoil leaves the immune system compromised. Sadly in some cases, children as well as adults choose to end their lives. Words have power. God takes words seriously too and He does not under-estimate the impact that they can have on His children. Let’s not forget that God used words to create and speak life into His creation in Genesis – how incredible is that? We must also remember that Jesus is The Word who became flesh and dwelt amongst us. (John1:1 – 14). Words can kill. Proverbs 18:21 says ‘Death and life are in the power of the tongue’, and the 6th commandment tells us in Exodus 20:13 ‘You shall not murder’, but somehow we fail to hold ourselves and others accountable for the words that fall out of their mouths. Does verbal abuse exist in church families, between parents and children, husbands and wives and members? Of course it does. While everyone appears to be respectable and well-mannered at church, no one truly knows what goes on at home behind closed doors. Abuse, whether physical, verbal, emotional, and/or spiritual needs to be brought into the light and dealt with seriously by church leaders simply because hiding it only helps to destroys people and families. Church leaders should aim to hold perpetrators of abuse accountable, without seeking to blame the victim by telling them to submit, pray or meditate harder. Those that are abused need support, understanding, compassion and love. They need to know that this is not their fault and they should seek whatever help is necessary to restore peace to their lives, which may include therapy as well as any necessary medications to help them cope. As Christians, we need to be brave enough to speak up and tackle these unsavory issues on behalf of our oppressed children, brothers and sisters. We should have confidence, knowing that God is with us, even if we receive resistance from our church. After all, isn’t this the example that Jesus left for us?